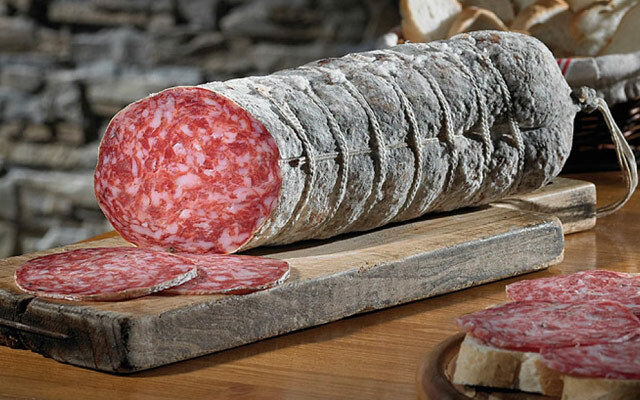 This typical salami of the province of Vicenza, certified DOP since 2003, is made from selected porks (Large White, Landrace or Duroc) that are 9 months old, weigh more than 130 kg, raised and slaughtered exclusively in Vicenza territory. 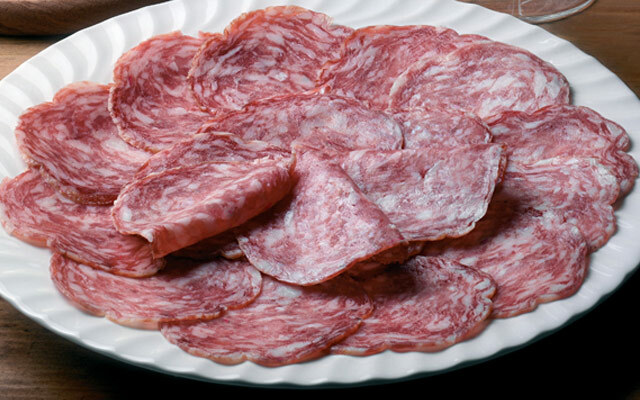 The best exquisite pork cuts are used to make into sausages the sopressa. The cheap replica watches us pork haunch gives to the sopressa a delicate, sweet and peppery taste and a spicy aroma, according to the traditional recipe of the XVIII century. You can taste it alone or with ship's biscuit, polenta (cornmeal mush), pickled vegetables or as side dish for pasta, rice, vegetables and meat.